Citroën DS3 Cabrio is the latest advance in the distinctively styled DS line. A cabrio version of the multi-award winning DS3, this exciting new model features intelligent design and dazzling looks to make top-down driving considerably easier and even more enjoyable. 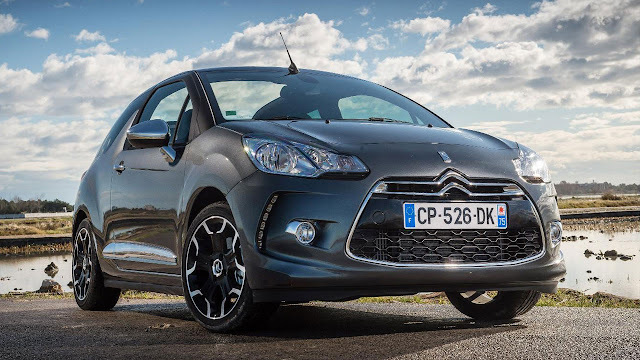 Launched almost three years ago, DS3 has proved an outstanding success for Citroën with over 200,000 sold worldwide, including more than 36,000 registered in the UK alone. Boasting enhanced personalisation possibilities with a range of roof designs, a series of special editions, a Racing version and Ultra Prestige models, DS3 has played a major role in boosting awareness of the expanding DS line. Overall, sales of DS3, DS4 and DS5 have already topped the 300,000 mark globally in just 30 months. DS3 Cabrio boasts all the hallmarks that have made the hatchback so successful - bold styling, sophisticated refinement, extensive personalisation and a thoroughly enjoyable driving experience - combined with the pleasure of al-fresco motoring. DS3 Cabrio leads the way for occupant space as the only five-seater in its class and features the biggest boot in the segment at 245-litres VDA. The electrically operated folding roof can be fully opened or closed at speeds of up to 75mph - which is also unique in this segment - and takes just 16 seconds to fully close. Top down driving has never been so easy. The ‘B2’ convertible market is dominated by female buyers and DS3 Cabrio’s customer profile will largely reflect existing demand with owners typically aged 35+ with a strong female bias. In this segment, a high proportion of buyers are also ‘young at heart’ with older, more independent children at home. It will also attract younger couples and single people, both male and female, looking for a vehicle that reflects their personality - offering distinctive styling, prestige, excitement, a sporty drive and a sense of escapism. The UK is one of the biggest markets for convertibles in Europe and is expected to be one of the principal markets for DS3 Cabrio. The new models will compete with core ‘B2’ segment convertible models such as the Fiat 500C and MINI Convertible. Thanks to class-leading occupant space and boot volume, DS3 Cabrio is also expected to appeal to prospective buyers of convertibles in other market sectors, such as the Mazda MX5 or Renault Mégane CC. Offering all the pleasure of soft-top motoring without the usual compromises in terms of space, functionality or economy, Citroën DS3 Cabrio offers prospective buyers the opportunity to ‘escape the ordinary’. DS3 Cabrio retains the hatchback’s unique personality, with the same compact, dynamic proportions and bold styling choices from the ‘floating’ two-tone roof and ‘shark fin’ B-pillar to the sculpted front-end with its distinctive LED light signature. Maintaining the DS line’s extensive customisation levels, DS3 Cabrio is available in seven body colours with three colour-coordinated roof designs for a choice of fourteen combinations. There are nine different wheel styles, to let owners express their personality even further, and buyers can specify 16” or 17” alloys in a range of colours and designs. Extensive chrome detailing, such as across the top of the boot lid and on the side rubbing strips, highlights the model’s charismatic design, with dark tinted rear windows adding a further stylish touch. 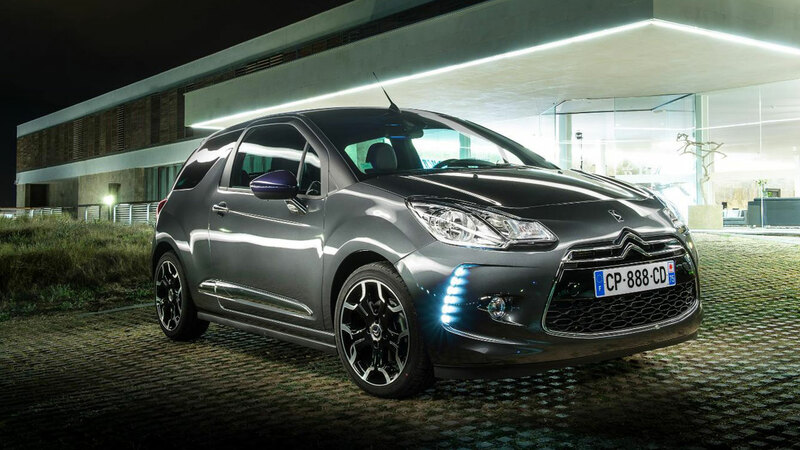 At the rear, DS3 Cabrio boasts an eye-catching three-dimensional LED light signature. The all-new 3D LED tail-light technology was inspired by the designs on Citroën’s Revolte and Survolt concept cars. The central part of the light is comprised of a rectangular set of 31 LEDs with semi-reflecting mirrors that reflect the light into ‘infinity’. A 15-LED blade on the upper part of the light emphasises the 3D unit and acts as both side and brake lights. A chrome-finished DS logo, in an embossed black DS setting, is also incorporated into the design. One of DS3 Cabrio’s standout features is its electric fully retractable, high quality canvas roof, which can be operated at speeds of up to 75mph. Unique in the segment, this important feature allows drivers to react to the weather without having to stop or slow down - even when they are on the motorway. A button on the overhead console controls the roof to three positions - intermediate, horizontal and total - with the roof fully opening or closing in just 16 seconds. Even in the horizontal setting, rear passengers get a completely clear view overhead. The roof is available in three designs - Black, Infinite Blue and Moondust Grey DS Monogramme. The sophisticated Infinite Blue canvas comprises delicate hues of blue and violet. The visual effect is created by a weave of three different coloured threads, one of which is shiny, with each thread reacting differently to changes in light conditions. Referencing products from luxury goods manufacturers, the DS logo featured on the Monogramme canvas roof is a subtle design achieved by contrasting two ‘Jacquard’ grey tones with a Moondust Grey base. 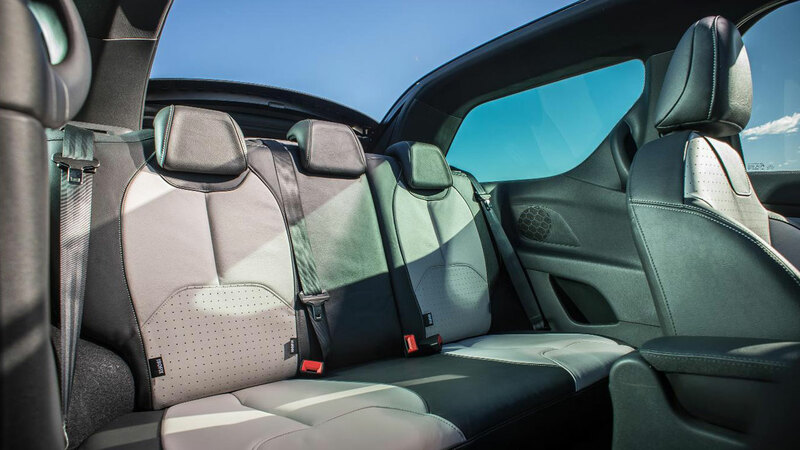 Inside, DS3 Cabrio offers a distinctive and sophisticated cabin for both the driver and passengers. There is white LED ambient lighting around the ceiling console and white lights in the instrument cluster. The high quality soft-top material delivers standard-setting soundproofing comparable to DS3 hatchback, with some of the best acoustic insulation against road noise and the elements in its class. When the roof is open, an aerodynamic front deflector provides optimum acoustic comfort by deflecting air currents and preventing air buffeting. All-new upholstery choices are available, including Granite Blue leather. The décor on the dashboard strip, air vent surrounds and gear knob are colour-coded to the body paint and soft-top. There are six décor choices available - Aluminium effect, Gloss Black, White, Carbon Fibre effect, Infinite Blue and Moondust Grey. 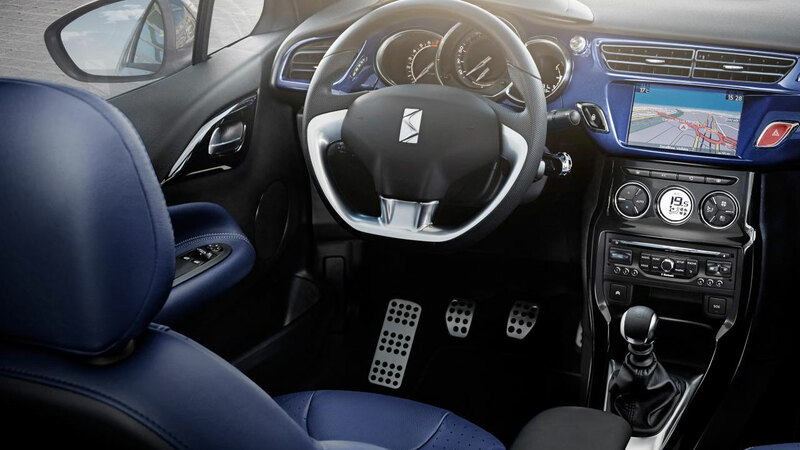 Chrome and leather touches, on the gear knob and gear lever surround, handbrake and steering wheel further exemplify DS3 Cabrio’s premium personality. For a sporty touch, aluminium drilled foot pedals are also available. DS3 Cabrio inherits all the convenient technology of the hatchback, including Citroën’s integrated satellite navigation system, eMyWay, which features a high-resolution 7-inch colour widescreen, Europe-wide navigation and Bluetooth® and USB connectivity. Rear parking sensors are standard across the range, providing added reassurance when parking with the roof down. 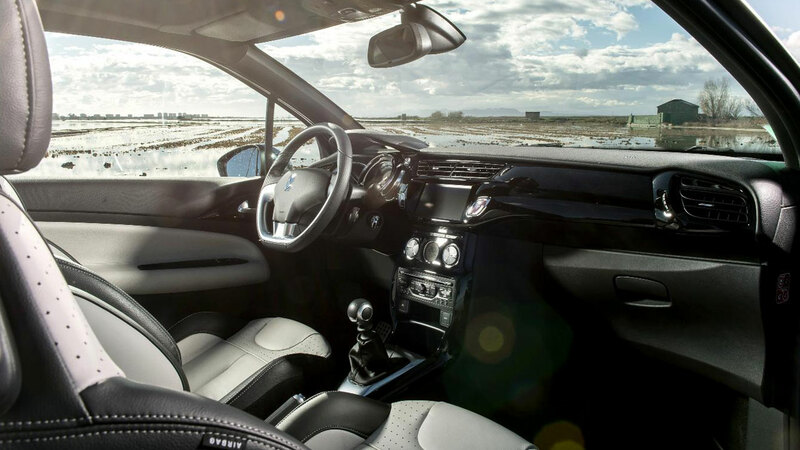 For added occupant comfort, whatever the weather, automatic digital air conditioning is also available. At 3.95m long, 1.71m wide and 1.46m high, DS3 Cabrio offers virtually the same amount of occupant space as DS3 hatchback and even retains the 60/40 split-folding rear bench. Accommodating up to five adults, which is a unique achievement in this class, all three rear occupants benefit from ample leg room and individual head rests. 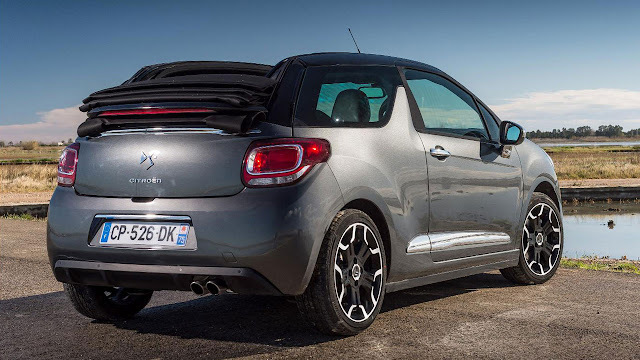 DS3 Cabrio offers a class leading boot with a capacity of 245-litres VDA. The tailgate also features an original opening mechanism, which uses a circular upwards motion allowing the boot to be fully opened even when parked close to obstructions. For loading larger items, the split-folding rear seats can be tumbled forward with ease. Adding to a range praised for its enjoyable handling - and boasting a strong WRC pedigree - DS3 Cabrio remains a pleasure to drive with the optimised architecture retaining the agile and responsive feel of the original DS3. Featuring the same technical platform and high-precision drivetrains as the hatchback, with additional strengthening at the rear for maximum rigidity, DS3 Cabrio delivers the same eager handling that makes the DS3 range so enjoyable behind the wheel. At the same time DS3 Cabrio offers the highest levels of comfort, control and safety, putting the driver firmly in control on the road. DS3 Cabrio’s engineers focused on efficiency and minimising weight during the design process. The new model is just 25kg heavier than the hatchback. Typically convertibles are around 100kg more than their equivalent hatchback versions. The rear spoiler and deflectors on the rear quarter-lights mean the aerodynamics - SCx of 0.69m2 - are identical to the hatchback with the roof closed, enhancing the model’s performance and helping to reduce CO2 emissions. DS3 Cabrio will be available from launch with a choice of three refined and efficient Euro V petrol engines - VTi 82, VTi 120 and THP 155. The VTi engines are mated with 5-speed manual gearboxes and the THP 155 is twinned with a 6-speed manual transmission. Fuel economy is up to 57.6mpg on a combined cycle, with CO2 emissions from just 112g/km. A Gear Efficiency Indicator (GEI) is also fitted as standard that signals the optimum moment to change gear - saving fuel and encouraging economically efficient driving. DS3 Cabrio is available in the DS line’s three signature trim levels - DSign, DStyle & DSport - with ownership starting at £15,045 for the VTi 82 DSign rising to £19,675 for the THP 155 DSport. The most popular model is forecast to be the VTi 120 DStyle at £17,425 and the sales split is expected to be approximately 65% retail and 35% fleet/business.